A crypt believed by many Congolese to be a center of black magic. 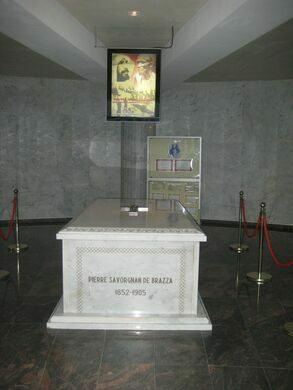 The coffin of De Brazza. On October 2, 2006, a charter plane carrying the skeletal remains of the 19th-century Italian explorer Pierre Savorgnan de Brazza, as well as those of his wife and four children, took off from Algeria and landed at Maya-Maya airport in Brazzaville, the capital of the Republic of Congo. This picturesque round lake is said to be home to the legendary Mokèlé-mbèmbé. 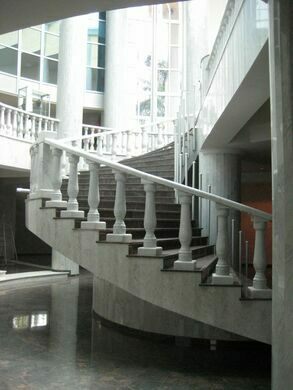 The tallest building in the Republic of the Congo is a source of pride despite its towering maintenance costs. 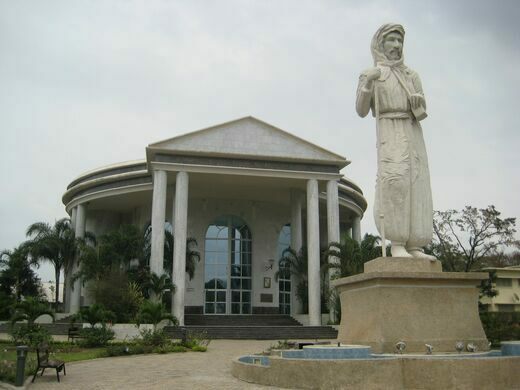 De Brazza’s bones were met at the airport by three African presidents, who escorted them to their new resting place, a $10 million marble and glass mausoleum built at a major intersection in downtown Brazzaville, the city that De Brazza helped found. Indeed, in a country where politics is often intertwined with traditional beliefs about sorcery, the building is believed to be a kind of Skull and Bones of Equatorial Africa, a place where a shadowy African elite meets to plot the future of the continent. Anyone who enters risks coming under the spell of powerful leaders–and may not emerge alive. Hence the empty building at the heart of the city. This building is actually located on Avenue Amilcar Cabral which is one block closer to the river. Built by a North Korean team this monument to African dictator Laurent Kabila has a suspiciously Kim Jong Il shaped body. The world's first and only natural nuclear reactor. Did Gustav Eiffel design this enigmatic metal building?